BRENTWOOD, Calif. -- A 10-year-old girl remains in critical condition after being hit by a vehicle in Brentwood Monday morning, police said. The girl was hit by a Nissan Altima in a collision reported at 7:44 a.m. on Balfour Road at Guise Way. The girl was walking to Edna Hill Middle School and was in a crosswalk with her sister when the Nissan headed east on Balfour hit her. Her sister was not injured, police Sgt. Mark Louwerens said. 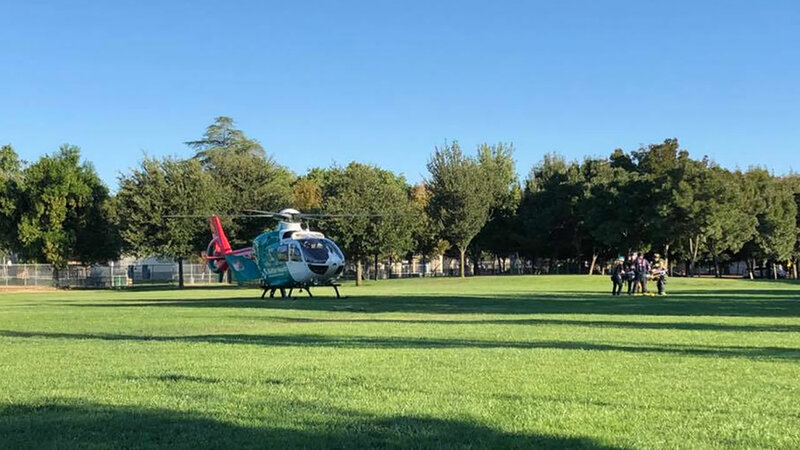 The injured girl was flown to UC Davis Medical Center. Balfour Road near Guise Way reopened at about 1 p.m. today after the investigation into the collision, Louwerens said.